This recipe for Polish pierogi dough is from my friend Georgia, who inherited it from her father. It's unusual in that it calls for chicken stock. Don't knock it until you've tried it. The resultant dough is smooth and supple. It can be used for sweet or savory pierogi fillings. In a large bowl, combine eggs, sour cream oil, salt and chicken broth until well mixed. Add flour and knead by hand or in a stand mixer until the dough is smooth. Wrap with plastic and let rest at least 10 minutes. Fill with your favorite pierogi filling. 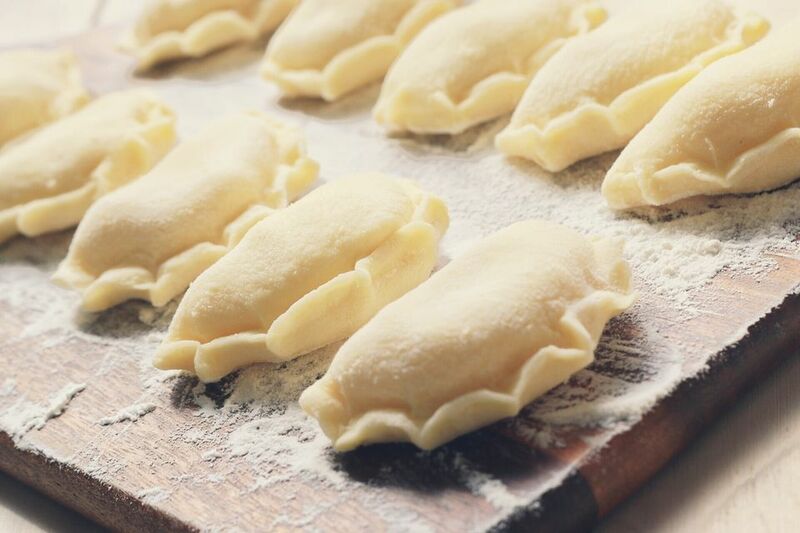 Follow these steps for rolling, filling and cooking pierogi.